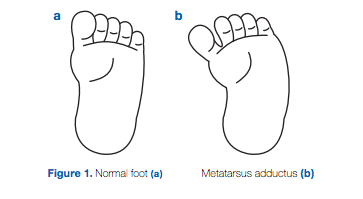 Metatarsus Adductus is the first cause and is where the forefoot is curved inwards relative to the rearfoot. This may be described as a ‘banana-shaped’ foot and is thought to be a result of the position of the baby in the womb, so is present at birth. Tibial Torsion is the second cause and describes the inward rotation of the tibia – the shin bone. Because the tibia is turned inwards, so is the ankle and foot, resulting in in-toeing. Here, correcting the position of the shin bone will correct the in-toeing. Lastly, Femoral Torsion describes the inward rotation of the femur – the thigh bone. The rotated position of the thigh bone also rotates the shin bone and the foot, causing in-toeing. 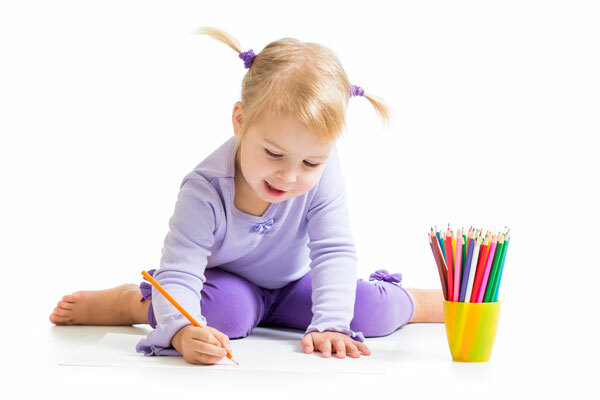 This is one of the reasons that children are discouraged from sitting in the ‘W’ position – because it rotates the thighs inwards (see to the right). The solution comes in the form of a specific orthotic device called a Gait Plate. 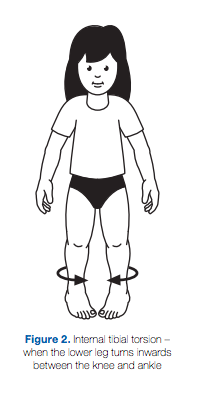 The gait plate is designed following the examination, assessment and measurement of the feet, and works by encouraging the outward rotation of the feet with every step. This device is placed into that shoes that are worn on a daily basis and like a regular orthotic, can be moved from shoe to shoe. They are no less bulky than a regular orthotic either – it’s their angled design matched below specific bones that encourage this movement. 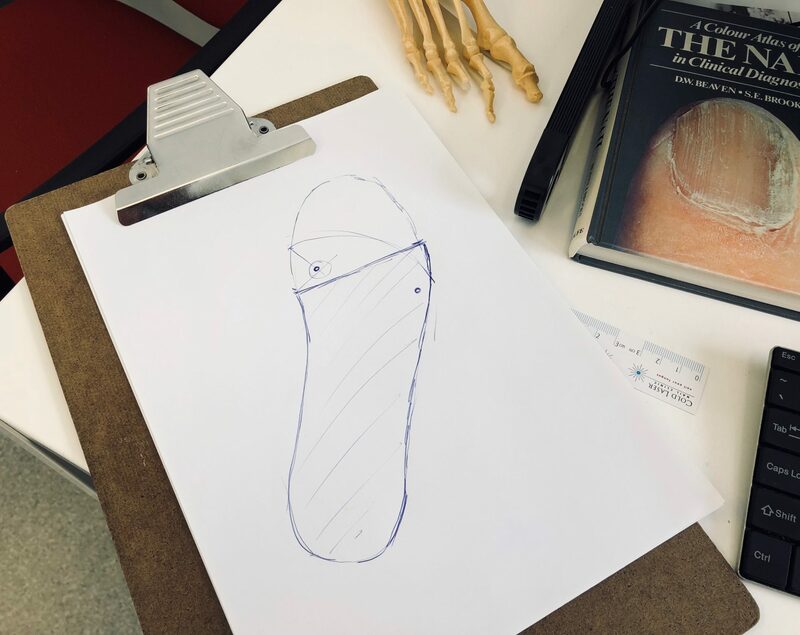 Here’s an example of a gait plate made for one of our school-aged patients below, as well as a template of the shape beneath the cushioned cover. Here at Masterton Foot Clinic, we pair a custom-made gait plate device with specific stretching and strengthening exercises based on your cause and what will get your feet back to their straight selves as effectively as possible. We monitor you and stay with you every step of the way to make sure we’re both seeing the results we want over an optimal timeframe. We use photography and video to track the changes over time – which is always fantastic to look back on and see how far you’ve come! If you’re worried about in-toeing for yourself or anyone in your family, give us a call on 0800 869 526 or book online here.